PC1 Size: 0.5" H x 12" W x 70" D Features: -Hook. -Single shepherd hook. 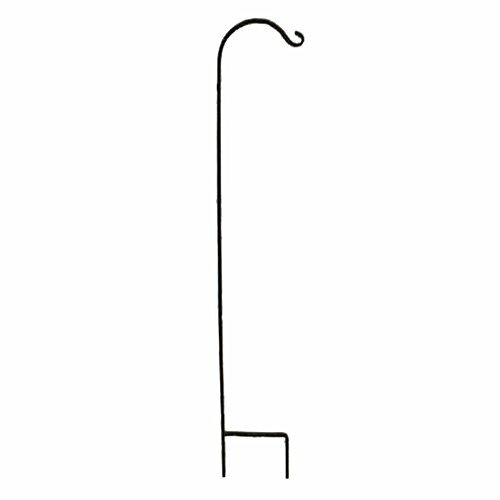 Product Type: -Hanging Hooks. Dimensions: Size 0.5" H x 12" W x 70" D - Overall Height - Top to Bottom: -70". Size 0.5" H x 12" W x 70" D - Overall Depth - Front to Back: -0.5". Size 0.5" H x 12" W x 70" D - Overall Product Weight: -8.75 lbs. Size 0.5" H x 12" W x 90" D - Overall Height - Top to Bottom: -90". Size 0.5" H x 12" W x 90" D - Overall Width - Side to Side: -12". Size 0.5" H x 12" W x 90" D - Overall Product Weight: -21 lbs. 7/16 inch solid square steel. Hook that is 70 inches in length with a single upturn hook.